Dealing with electricity can be dangerous, especially if you don’t understand it. 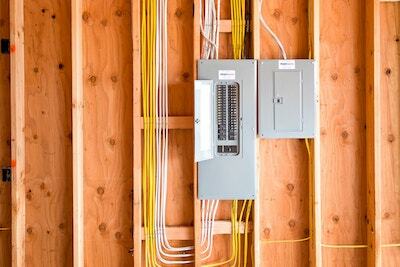 When it comes to electrical work and the electrical panels in homes, it’s common for homeowners to be unfamiliar with how they work and what’s involved in their construction. Here is some helpful information on your electrical panel and how it controls your home’s electricity. Each home has a service panel, otherwise known as a distribution center. This is the main “hub” for your electricity and it is generally located in the basement or utility room, or garage. The service panel distributes electricity through individual circuits that run through the home. Usually the panel has circuit breakers that look like switches, which acts to stop electricity flow when there is an issue. When should you access the service panel? If you find yourself heading to the electrical panel often because of tripped circuits, you may need to have a licensed electrician take a look and see if there is an issue. Plugging too many appliances into a circuit could cause the system to sense that more power needs to go to that area and it could cause it to trip and shut off power. This is a built-in way to keep your home safe by protecting the wiring of the circuit. Each circuit has a limit and too much demand on one specific circuit could cause it to heat and catch fire. If the electrical panel in your home is old and the switches look faulty, or if you’re having issues with continually tripping certain circuits, contact our team today at Prairie Electric to take a look at your electrical panel.